Board gaming fun for the whole family. On Game Night, we break out our collection of board games, playing cards, and dominoes and let you and your family have at them. Our giant versions of Connect 4 (pictured above), Jenga, checkers, and Kerplunk offer big gaming fun you won’t find hardly anywhere else. 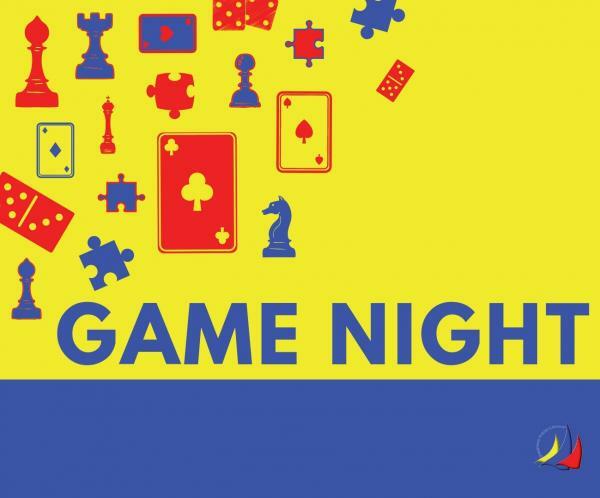 Game Night is a potluck affair, so attendees are encouraged (though not required) to bring food to share so that everyone can snack while they play. The library provides soda, juice, and water for all. The games are set out for you to browse, and you’re welcome to play whichever one(s) you’d like, either with your friends and family or with other game lovers from the community. Occasionally, we’ll have a themed Game Night. Such nights will be noted on the schedule. Game Night is for game lovers of all ages! We ask that children under the age of 12 be accompanied by a parent or guardian. 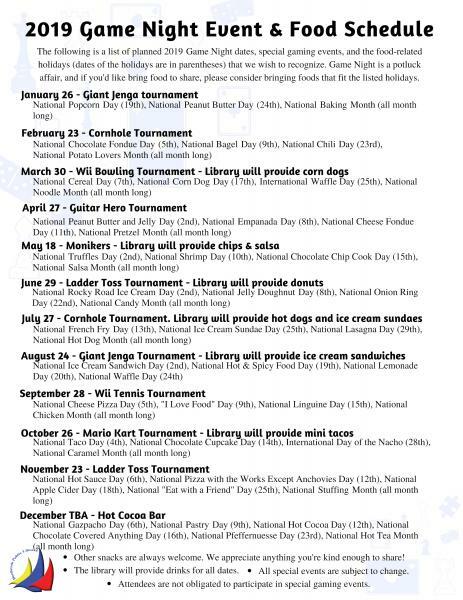 Game Night is held in the library meeting room from 6 to 8:30 PM on the last Saturday of every month. Exceptions occasionally occur, and they will be noted on the schedule.